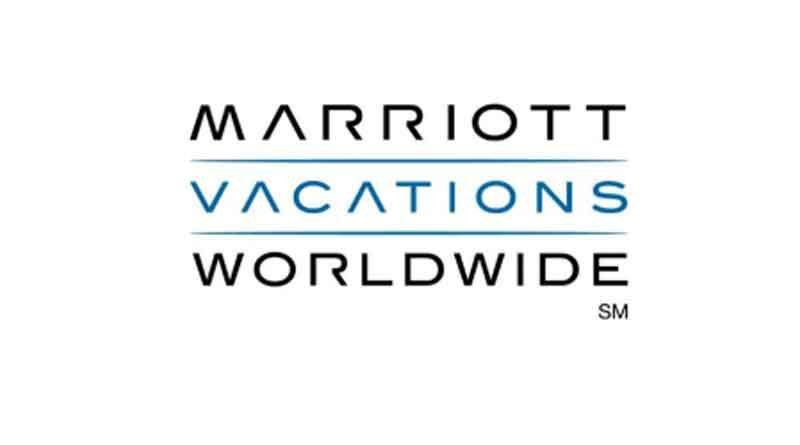 Marriott Vacations Worldwide Corporation(NYSE: VAC) (“MVW” or the “Company”) and ILG (Nasdaq: ILG) today announced that they have entered into a definitive agreement under which MVW will acquire all of the outstanding shares of ILG in a cash and stock transaction with an implied equity value of approximately $4.7 billion. Under the terms of the agreement, ILG shareholders will receive $14.75 in cash and 0.165 shares of MVW common stock for each ILG share. ILG is a leading provider of premier vacation experiences with over 40 properties and over 250,000 owners in its Vistana Signature Experiences and Hyatt Vacation Ownership portfolios, as well as exchange networks that comprise nearly two million members and over 3,200 resorts worldwide. As a combined entity, MVW and ILG will be a leader in the vacation experiences industry with significant scale, an expanded presence in key leisure destinations, the largest portfolio of upper-upscale and luxury brands in the industry and world-class exchange networks. The combined company will be the global licensee of seven upper-upscale and luxury vacation brands, including Marriott Vacation Club, Grand Residences by Marriott, Ritz-Carlton Destination Club, Sheraton Vacation Club, Westin Vacation Club, St. Regis Residence Club, and Hyatt Residence Club. It will also have exclusive access for vacation ownership to the Marriott Rewards, Starwood Preferred Guest and Ritz-Carlton Rewards loyalty programs for its six Marriott vacation ownership brands. With respect to its Hyatt business, the combined company will have rights to develop, market and sell under the Hyatt Vacation Ownership programs, including access to the almost 10 million members of the World of Hyatt loyalty platform. Finally, strengthening MVW’s vacation properties’ affiliation with ILG’s exchange networks will reinforce Interval International’s industry leading position and advance our objective of creating shareholder value. Creates a leading global luxury and upper-upscale vacation ownership operator with access to world-class loyalty programs and an expanded portfolio of highly demanded vacation destinations: Combining MVW and ILG will create a leading global vacation ownership and exchange company comprising approximately 650,000 owners, seven upper-upscale and luxury brands, over 100 vacation properties and more than 20,000 vacation ownership units around the world. With ILG’s four resorts in Mexico and one on St. John (USVI), MVW will gain an important foothold in popular vacation destinations in Mexico and expand its presence in the Caribbean. Additionally, it will diversify its long history of upper-upscale brand management with the Hyatt Residence Club properties. ILG’s resort management businesses across the U.S., Caribbean, Mexico and Europe will also significantly expand MVW’s resort management capabilities and scope across the globe. Creates a platform to accelerate sales growth: Through their agreements with Marriott International, MVW and ILG will have exclusive access for vacation ownership to the Marriott Rewards, Starwood Preferred Guest and Ritz-Carlton Rewards loyalty programs, which have over 100 million members and which are expected to be combined into a single loyalty program in early 2019. They will also be able to leverage the exclusive call transfer and hotel linkage rights that MVW gained through its recently amended agreement with Marriott International to drive valuable incremental tours and sales at ILG’s Vistana properties, significantly enhancing the sales potential of these locations. In addition to these opportunities, the Hyatt Vacation Ownership business will benefit from continued access to almost 10 million World of Hyatt loyalty platform members for marketing opportunities and growth in highly desirable destinations. Diversifies revenues and expands margins with significant contribution from recurring and fee-based revenue streams: The Company will benefit from premier exchange networks, which provide incremental, high-margin, recurring, fee-based revenue streams. ILG’s Interval International, Vistana Signature Network, Hyatt Residence Club and Trading Places Internationalexchange networks will comprise nearly two million members and over 3,200 resorts. ILG’s exchange networks and resort management business represent profitable revenue streams that will further diversify the Company’s revenue profile and expand its margins. Additionally, owning Marriott Vacation Club, Vistana Signature Experiences and Hyatt Vacation Ownership, which on a combined basis represent over 50% of the corporate members of Interval International, will provide increased stability of cash flows from this business. The additional revenue streams that ILG would bring to the combined company would raise its total 2017 revenue to $2.9 billionwhile further diversifying its revenue mix. Interval International, ILG’s leading exchange business, will maintain its headquarters in Miami, Florida, where it has been based since its founding in 1976. Marriott Vacations Worldwide has deep respect for the Interval International leadership team and looks forward to working with them as the combined company take steps to grow this business into the future. Transaction structure will result in a strong and flexible balance sheet to support future growth and shareholder returns: The combination will significantly enhance and diversify MVW’s cash flows. ILG will contribute strong and recurring revenue streams that will enable the combined company to maintain flexibility for continued organic growth, strategic acquisitions, continued capital returns to shareholders and de-levering. On a pro-forma basis, the combined company would have 2017 adjusted EBITDA of $737 million. Over the past four years, MVW has returned $775 million to its shareholders through dividends and share repurchases, and it expects to pay a pro-forma annual dividend of $1.60 per share following the close of the transaction. Immediately accretive to MVW’s earnings and free cash flow profile and generates significant near-term cost savings: The transaction is expected to be accretive to MVW’s adjusted earnings per share within the first full year after close. It has identified and expects to achieve at least $75 million of annual run-rate cost savings within two years following the close of the transaction. Savings are expected to come primarily from the rationalization of redundant general and administrative, operating and public company costs. Marriott Vacations Worldwide’s President and Chief Executive Officer, Mr. Stephen Weisz, and its Chief Financial and Administrative Officer, Mr. John Geller, will continue to serve in their roles following the close of the transaction. The Marriott Vacations Worldwide Board of Directors will be expanded from eight to 10 members to include two current members of the ILG Board, and Mr. William Shaw will remain Chairman of the Board. MVW’s headquarters will remain in Orlando, and the combined company will maintain a significant operating presence in Miami. The companies will host a joint conference call today at 8:00 a.m. Eastern Time. To access the call, listeners should dial (877) 407-8289 and provide the access code 13679635. A replay of the call will be available. A live webcast of the conference call will also be available in the investor relations sections of both companies’ websites at www.marriottvacationsworldwide.com or www.ilg.com. Forward-looking statements are any statements other than statements of historical fact, including statements regarding ILG’s and MVW’s expectations, beliefs, hopes, intentions or strategies regarding the future. Among other things, these forward-looking statements may include statements regarding the proposed combination of ILG and MVW; our beliefs relating to value creation as a result of a potential combination with ILG; the expected timetable for completing the transactions; benefits and synergies of the transactions; future opportunities for the combined company; and any other statements regarding ILG’s and MVW’s future beliefs, expectations, plans, intentions, financial condition or performance. In some cases, forward-looking statements can be identified by the use of words such `as “may,” “will,” “expects,” “should,” “believes,” “plans,” “anticipates,” “estimates,” “predicts,” “potential,” “continue,” or other words of similar meaning. Forward-looking statements are subject to risks and uncertainties that could cause actual results to differ materially from those discussed in, or implied by, the forward-looking statements. Factors that might cause such a difference include, but are not limited to, general economic conditions, our financial and business prospects, our capital requirements, our financing prospects, our relationships with associates and labor unions, our ability to consummate potential acquisitions or dispositions, our relationships with the holders of licensed marks, and those additional factors disclosed as risks in other reports filed by us with the Securities and Exchange Commission, including those described in Part I of our most recently filed Annual Report on Form 10-K and subsequent reports on Forms 10-Q and 8-K as well as on MVW’s most recently filed Annual Report on Form 10-K and subsequent reports on Forms 10-Q and 8-K.
Other risks and uncertainties include the timing and likelihood of completion of the proposed transactions between ILG and MVW, including the timing, receipt and terms and conditions of any required governmental and regulatory approvals for the proposed transactions that could reduce anticipated benefits or cause the parties to abandon the transactions; the possibility that ILG’s stockholders may not approve the proposed transactions; the possibility that MVW’s stockholders may not approve the proposed transactions; the possibility that the expected synergies and value creation from the proposed transactions will not be realized or will not be realized within the expected time period; the risk that the businesses of ILG and MVW will not be integrated successfully; disruption from the proposed transactions making it more difficult to maintain business and operational relationships; the risk that unexpected costs will be incurred; the ability to retain key personnel; the availability of financing; the possibility that the proposed transactions do not close, including due to the failure to satisfy the closing conditions; as well as more specific risks and uncertainties. You should carefully consider these and other relevant factors, including those risk factors in this communication and other risks and uncertainties that affect the businesses of ILG and MVW described in their respective filings with the SEC, when reviewing any forward-looking statement. These factors are noted for investors as permitted under the Private Securities Litigation Reform Act of 1995. We caution readers that any such statements are based on currently available operational, financial and competitive information, and they should not place undue reliance on these forward-looking statements, which reflect management’s opinion only as of the date on which they were made. Except as required by law, we disclaim any obligation to review or update these forward-looking statements to reflect events or circumstances as they occur. The proposed transaction involving MVW and ILG will be submitted to ILG’s stockholders and MVW’s stockholders for their consideration. In connection with the proposed transaction, MVW will prepare a registration statement on Form S-4 that will include a joint proxy statement/prospectus for ILG’s stockholders and MVW’s stockholders to be filed with the Securities and Exchange Commission (“SEC”). ILG will mail the joint proxy statement/prospectus to its stockholders, MVW will mail the joint proxy statement/prospectus to its stockholders and ILG and MVW will file other documents regarding the proposed transaction with the SEC. This communication is not intended to be, and is not, a substitute for such filings or for any other document that MVW or ILG may file with the SEC in connection with the proposed transaction. SECURITY HOLDERS ARE URGED TO READ ALL RELEVANT DOCUMENTS FILED WITH THE SEC, INCLUDING THE REGISTRATION STATEMENT ON FORM S-4 AND THE JOINT PROXY STATEMENT/PROSPECTUS, CAREFULLY AND IN THEIR ENTIRETY IF AND WHEN THEY BECOME AVAILABLE, BECAUSE THEY WILL CONTAIN IMPORTANT INFORMATION. The registration statement, the joint proxy statement/prospectus and other relevant materials (if and when they become available) and any other documents filed or furnished by MVW or ILG with the SEC may be obtained free of charge at the SEC’sweb site at www.sec.gov. In addition, security holders will be able to obtain free copies of the registration statement and the joint proxy statement/prospectus from MVW by going to its investor relations page on its corporate web site at www.marriottvacationsworldwide.com and from ILG by going to its investor relations page on its corporate web site at www.ilg.com. MVW, ILG, their respective directors and certain of their respective executive officers and employees may be deemed to be participants in the solicitation of proxies in connection with the proposed transaction. Information about MVW directors and executive officers is set forth in its Annual Report on Form 10-K for the year ended December 31, 2017, which was filed with the SEC on February 27, 2018, and in its definitive proxy statement filed with the SEC on April 3, 2018, and information about ILG’s directors and executive officers is set forth in its Annual Report on Form 10-K for the year ended December 31, 2017, which was filed with the SEC on March 1, 2018 and in its definitive proxy statement filed with the SEC on April 3, 2017. These documents are available free of charge from the sources indicated above, and from MVW by going to its investor relations page on its corporate web site at www.marriottvacationsworldwide.com and from ILG by going to its investor relations page on its corporate web site at www.ilg.com. Additional information regarding the interests of participants in the solicitation of proxies in connection with the proposed transaction will be included in the registration statement, the joint proxy statement/prospectus and other relevant materials MVW and ILG file with the SEC.